The non-favored loot chest on Tier 3 runs more often than not will provide you with coins of Gar only. The system of favored and non favored chest pulls does on face value seem a good way to manage the grinding of instances to not over payout to those that have the time. The current rewards seem too restrained to encourage players to run the instances outside of having a guaranteed favored loot pull due to the lack of rewards in non favored, and with the very limited number of favored pulls per instance each week, this is leading to the instances not being ran as much as would be better for the end game community. Keep the current chance of rewards per loot pull the same but increase the amount of favored chest pulls each week available to players. Both changes would hopefully yield the same effect - More people are encouraged to run the instances on a daily basis. Im most certain every end-game person who is running these instance even a tiny bit would much much rather have daily locks on everything simply than the BS 1 T3 favoured run a week. Its absolutely absurd, Unfavoured loot is terrible, you can not dance around that matter, you do not get good loot with unflavored. Ive gotten 1 teal earring after 4 unflavored runs of T3 Thikil this week. How is that reasonable? This lock system is very bad. I was just trying to get 3-mans going like an hour and could not find 3rd person because I would have need tank and about all tanks have already burned locks. Sure I could have alt my guardian and get run going, but I currently don't need might loot, I need agi and will loot. If you don't do runs right after locks reset, your out of luck rest of the week. I have already find myself logging in to game less because there isn't anything to do. I have 2 alts left what I could quest and lvl up, but kinda bored for questing currently after doing it already 8 times. I just realised that instances has been out what 2 months? and it's already harder to get runs going end of the lock cycle than it was get CoS t2c run going when Mordor was it's EoL. I'm quite sure that devs can see a huge spike on instance runs every week after locks resets and then runs decrease. And wednesday nobody does runs, everyone just wait for locks reset and same repeate week after week. One reset per week isn't working, make it at least 2 resets per week. Now if you cannot play few days after locks reset, you are quite much out rest of the week. Also this loot bound bug isn't helping, it's very annoying that when I get some loot that I could use with my alt, I have to wait 1h or set timer so I remember to alt back to that toon what got loot so it becomes account bound. This leads to situation that I have become picky to late night runs because I don't wanna waste precious locks to potentially get some good loot what I can use on other toon because I cannot simply wait that 1h after run, I wanna go to sleep after run is done. I'd guess favoured loot in T2 is roughly 60-70% dropchance for a teal item (just from personal experience), plus 1-2 SoE and roughly 1 additional purple item within the whole instance (plus coins). I never checked it, but I think, additional, there are some embers as final reward. T3 runs droprate felt higher than T2, but still not 100% teal item. T1 runs only give purple items, and feels like 50% or less droprate throughout a whole instance run and mostly just 0-1 SoE. IF not having those locks would give us worse droprates, I totally prefer the current system. I dont run instances that often, but when I do, I want to be rewarded for it. Still, imo, as the dropping teal items are always just head/shoulders/breast depending on the instance you run and not randomly all slots, they could as well put the featured reward locks only on the bonus embers (and increase those) and maybe the SoE and make all instance gear UNasheable. That way, people could run the instances as long as they want for gear that always is for the same slot or only purple and doesnt give embers. I'd say, there should be 500 embers per T3 instance per week, 600 embers for T2 instances per week and 1000 embers for T1 instances per week, with 1/2/5 runs to get those. For each instance. So if you ran each instance 5 times in T1, 2 times in T2 and once in T3 per week, you'd get 6300 embers for that. So featured would only be about embers and maybe about crystals/SoE, but purple gear and teal gear for the three possible slots plus offhand could be farmed as long as people like to. Last edited by Oelle; Nov 21 2018 at 03:57 PM. I've only run the three Instances T1 Solo as part of the Quest Line. 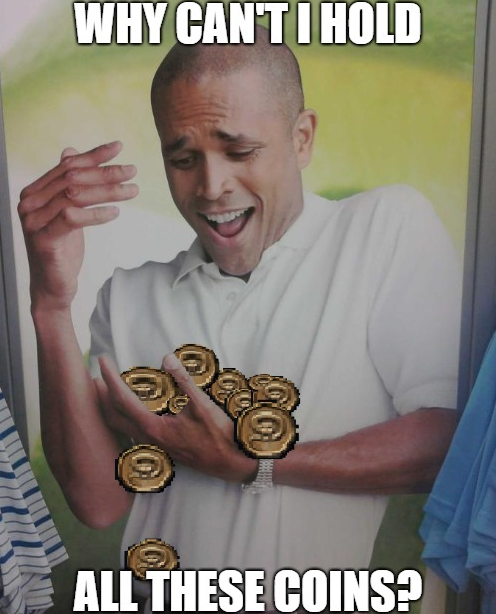 When I open the Chests I get some Longbeards and Coins and about 70 Silver. If I run it again I can't open the Chest until the 3 AM reset. I guess T1 Solo Favored Pulls is the Marks and Coins and Unfavored is bupkas. One suggestion would be to increase the variety of things available for the coins of Gar, the currently selection is abysmal imho. If this was mentioned already, please disregard. Coins of Grarik is a total joke. And you know, they don't have a cap. I just finished my 7th TG T3 of the week on the same toon. 6 of which obvious were unfavoured pulls. On the unfavoured, out of all 6 runs, I got 1 teal earring. I couldn't agree more that the current system is garbage. A week ago we spent a lot of time in the caverns of Thrumfall T3 until we managed to kill Etterfang. I got teal shoulderpads which were one itemlevel worse than the ones I got on T2 and I was the only one who actually got something else than 4 coins of Grarik despite the fact we all had favoured completions. I thought people like non-favoured drops? I love running instances for cosmetic coins.